While postponing, the organisers had claimed that the move was needed to review the five seasons of the league. 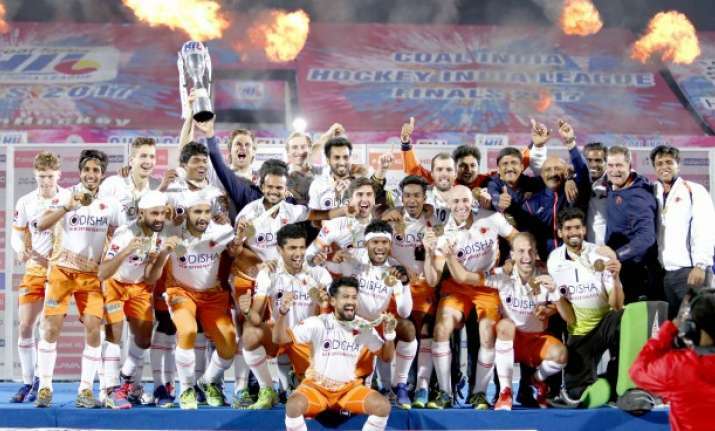 Hockey India League (HIL) will make a grand return in 2019 and will serve as the season-ending event to a busy international calendar, Hockey India CEO Elena Norman confirmed. There had been doubts over the league's future after the organisers scrapped the 2018 edition. Putting to rest doubts over its future, the HI CEO said HIL will come back stronger in November-December 2019. Exact dates of the event were yet to be finalised. "HIL will return at the end of 2019. It is on track. We are working with FIH for the window. We haven't finalised the exact window yet," Norman said on the sidelines of the ongoing Hockey World League (HWL) Final here. "Everyone likes to make money. Everyone likes to make sure that you have the best possible scenario in place. We still have little bit of time to relook at everything. We have already confirmed to our broadcaster for 2019. "We will need to reconfirm with FIH because they will also have a qualifying event leading upto 2020 Tokyo Olympics and that will happen before the HIL so that the players are free," added Norman, who is also a member of the HIL Governing Committee. The next men's hockey World Cup is scheduled to be held at the Kalinga Stadium here from November 28 to December 16 next year and the HI CEO said they have got the necessary approvals for the conduct of the tournament. Pakistan are one of 16 participating teams in the World Cup, but their participation remains in doubt as they failed to turn up for last year's Junior World Cup in Lucknow owing to diplomatic tensions between the two nations. Norman said like any other competing nation, Pakistan is also welcome and it is up to them to follow the procedures and ensure smooth processing of visas. "They (Pakistan) are welcome here like every other team. We have got permission from Ministry of Youth Affairs for the conduct of the tournament, which includes 16 teams, and Pakistan is part of the 16 teams. "We have also written to the Ministry of Home Affairs and Ministry of External Affairs and we have got permission from one of the two and the other approval is expected soon," Norman said. "Now it's up to Pakistan. Every country has a set of requirements which they need to complete for applying for visas. They need to provide all details." She rubbished rumours that the World Cup might be shifted out of Bhubaneswar. "Absolutely not. I am not sure from where anyone heard that," a bemused Norman said. The HI CEO said the Kalinga Stadium will sport a completely new look for next year's mega-event. "This pitch is three years old and it will be changed for the World Cup. The practice pitches will be changed. Construction work will finish by the end of May. After that, we will be laying the pitch and it will require two months for that. Before the monsoon everything will be complete," Norman said.